Posted <2018-06-24 Sun 17:06> by Aaron S. Jackson. Following the schematics and instructions of Mr Carlson's Lab YouTube channel, I have built a slightly simplified version of a curve tracer. It is powered off the 240V mains, and passes through a transformer to get 50V, centre tapped to earth, so -25V, 0 and 25V. This is then rectified, smoothed and passed into LM317 and LM337 voltage regulators to give a fairly stable -17V and 17V. More smoothing, this time with Tantalum caps. 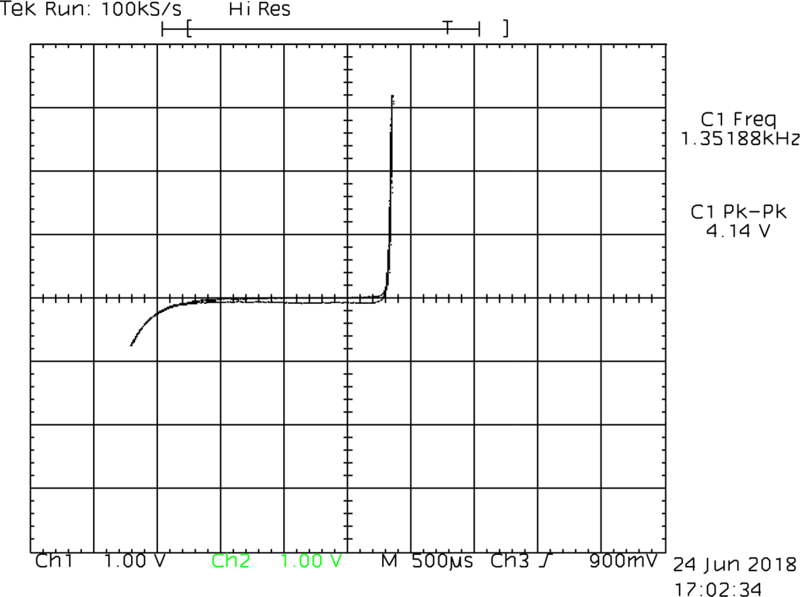 The next part gets more interesting, a Wien bridge oscillator generates a 1.3KHz sine wave at about 10V peak to peak. These are interesting and retro in their own right (… because they use a light bulb! :D). The wein bridge only requires one op-amp, and a few resistors, but getting these values correct can be quite frustrating. The sine wave is then fed into the curve tracer part of the circuit, which requires two op-amps in a single TL072 package (for my simplified version). Enough of me talking about things I only partially understand. Here's the output from a 3.3V Zenner diode. And here is the breadboard - a total mess. 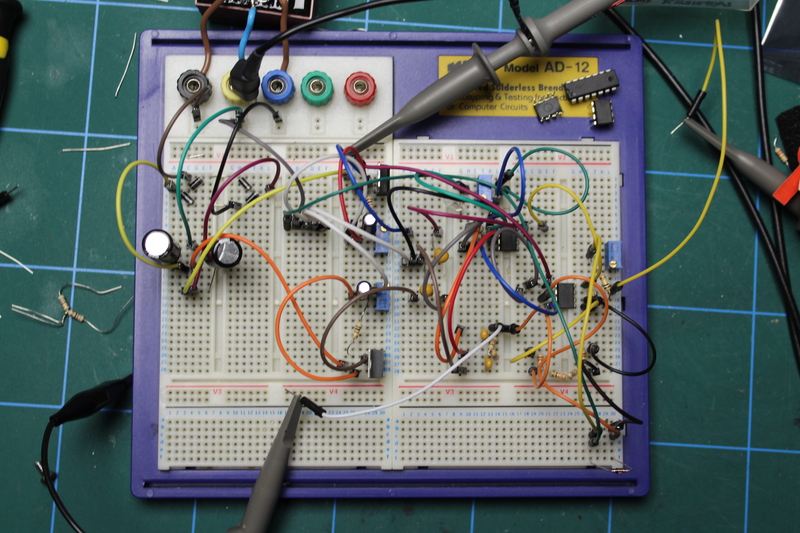 The next step is to build a proper circuit board and put it all into a nice instrument case. Updates to follow in the near future (I hope).